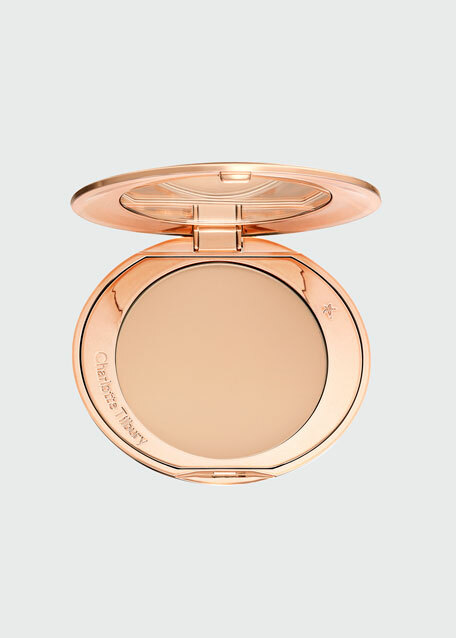 An ultra-smooth baked formula that "wakes up" the skin, providing natural colour with a radiant, healthy glow for a flawless, no-makeup finish. Gives skin a modern, multidimensional matte finish with a hint of soft luminosity. Sheer, buildable coverage lets you customize your glow. 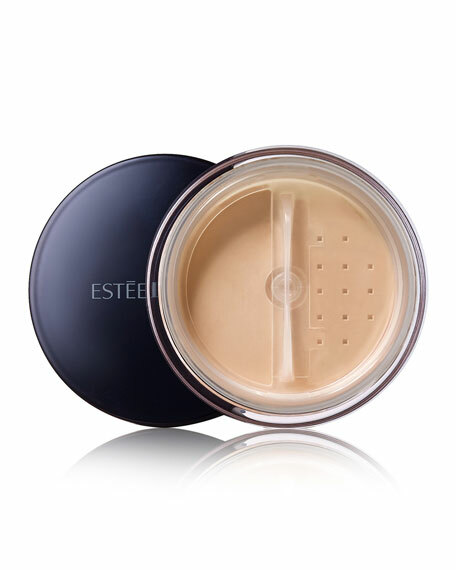 Applies smoothly onto skin and blends effortlessly for a natural look and feel. Longwearing formula wears all day (8 hours) and colour stays true without oxidizing for an even wear. Non-dusty; non-drying formula. Dermatologist tested. Suitable for all skin types, even sensitive. Bronzer application: Using the Bronzer Brush, lightly tap on top of domed bronzer, making sure to cover all edges of brush with product. Tap off excess product. Using the tapered head of the brush, apply to areas where the sun naturally hits, like cheeks, nose, brow bone, forehead and chin, creating a natural "sun-kissed" look. Highlighter application: Using the Angled Cheek Colour brush, lightly tap onto domed highlighter covering all edges of brush. Tap off excess product. Using the tapered head of the brush, apply over the high points of the face: cheekbones, center of nose, cupid's bow and top of forehead.